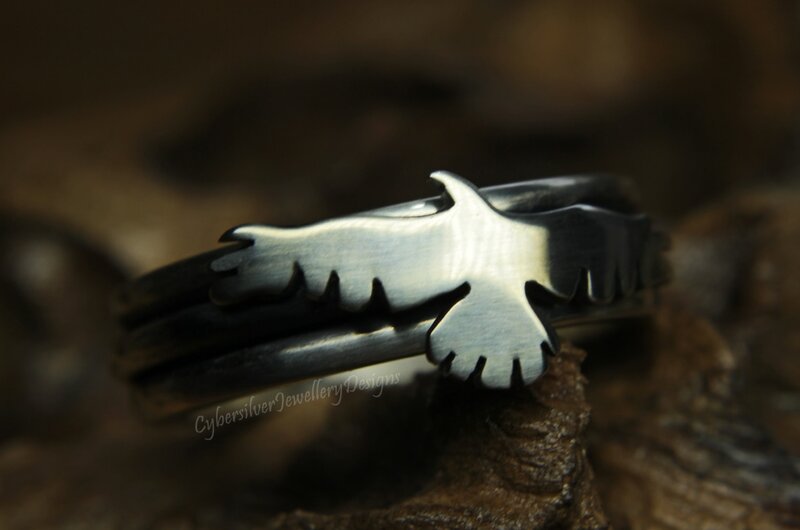 A stunning silver spinner fidget ring featuring a majestic raven. 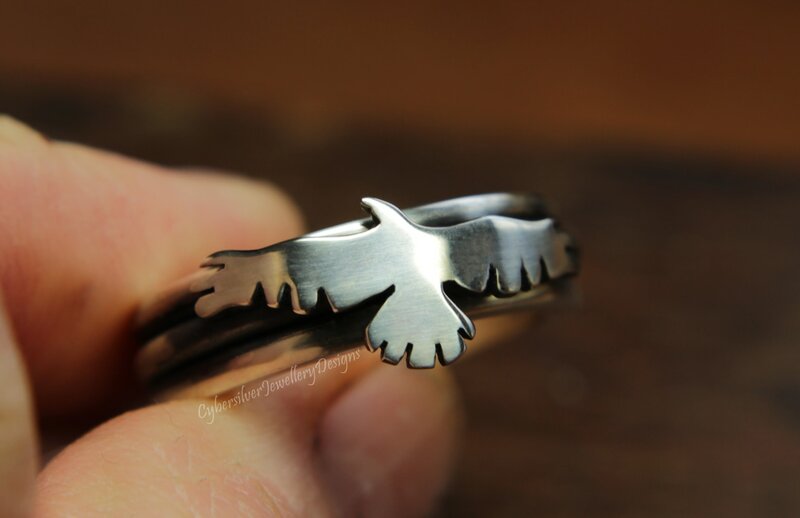 This unique raven ring is entirely hand fabricated by me to my unique and original design. The ring is created from thick sterling silver and features a soaring raven, lovingly hand cut and unique. 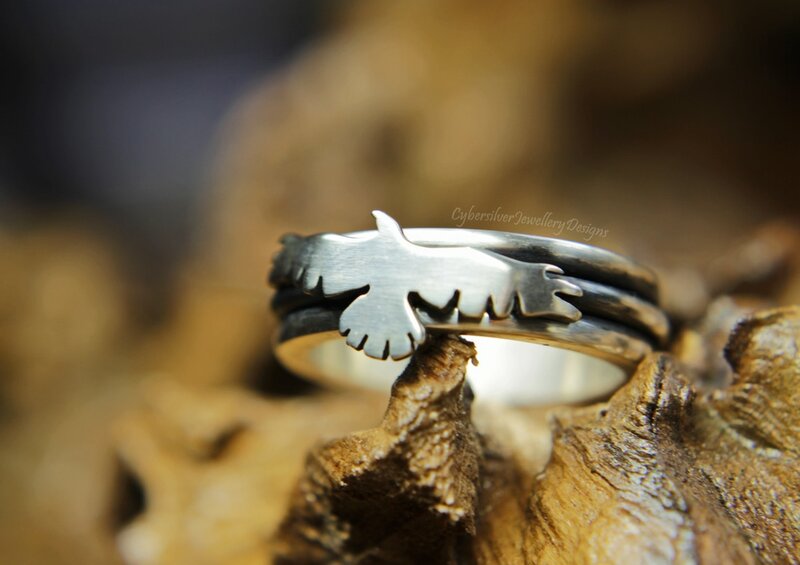 This ring is created from four separate handmade rings forged into one with the raven ring able to spin all the way around the separate inner ring. 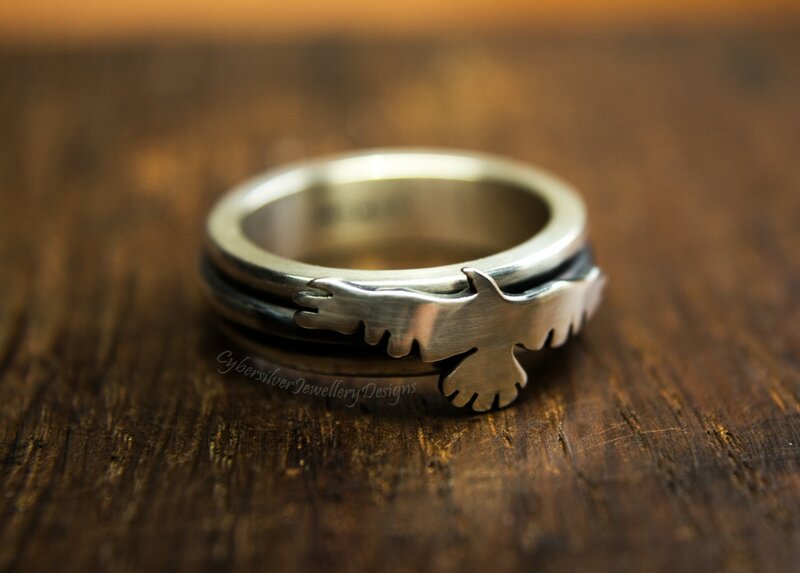 The silver has been lightly oxidised, brushed, polished and then waxed with a microcrystalline wax to help protect the oxidised surface. 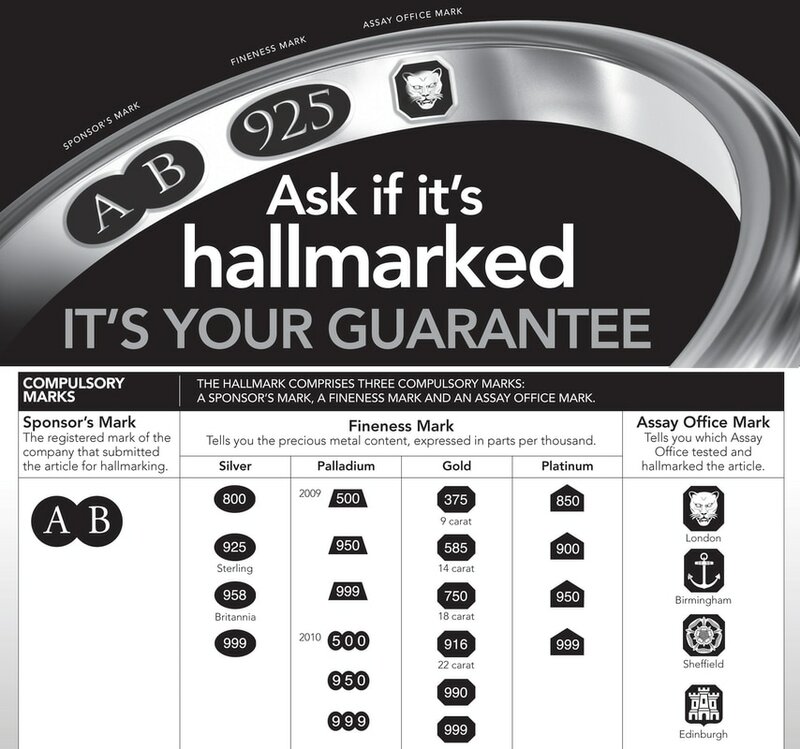 Oxidisation is a surface treatment which can continue to lighten with wear. Also available in spring hare and prancing fox and soaring dragon version.